From there we went on to the largeness of the Grand Canyon. Such an amazing space and color that I have a hard time defining! Our final destination was Bryce Canyon. This was the highlight of our trip where we hiked the hoodoos. They are amazing things. We could look at them all day and see so many different figures. Every day I wished I had more time to spend painting these fabulous colors. In any case, I would definitely recommend going in November. A little cold but not too many people. kennst du die "Gesteins Pyramiden von Euseigne" im Wallis? sind vielleicht auf ähnliche Weise entstanden. Die Hoodoos sind einmalig! Ich wird sicher die Gesteins Pyramiden auch aufsuchen. Danke für dein Tip! 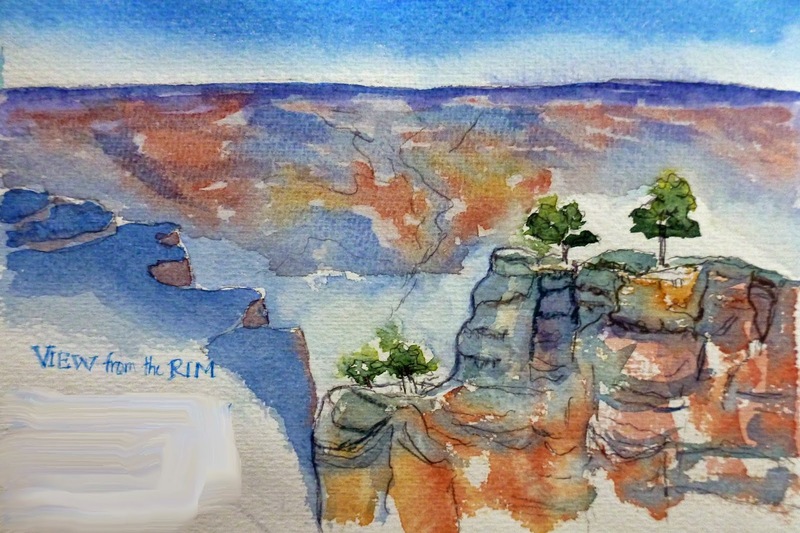 I really enjoyed your wonderful sketches from this very special area of the US. Even as an American I feel as if I am in a foreign country when I visit these natural wonders. 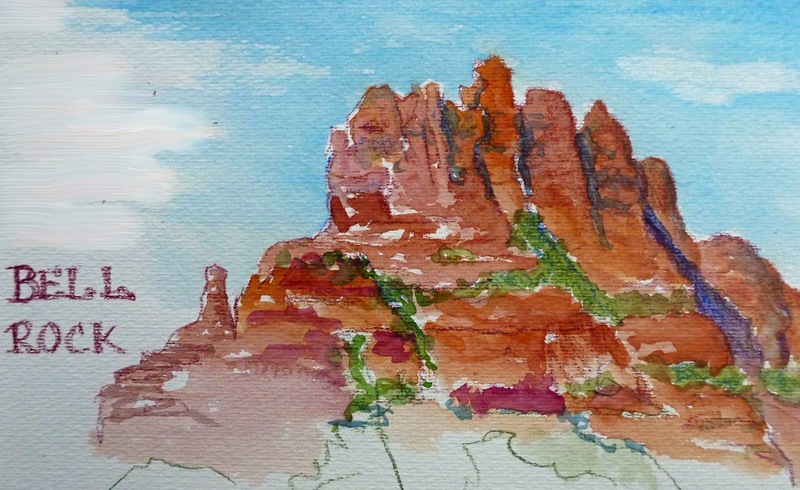 Be sure to check out Shari Blaukopt's paintings from these places on the Montreal USK site. Your colors are just right! Thanks! I have always wanted to see this and finally was able. I do know Shari's fantastic paintings. Sîe was a great inspiration when I was preparing for the trip. Fantastische Farbstimmungen! Ganz schön finde ich das zweite und dritte Bild wo der Blick bis an den Horizont reicht. Danke Olivia! Die weite dort ist unbeschreiblich!